I will not be updating this blog anymore. 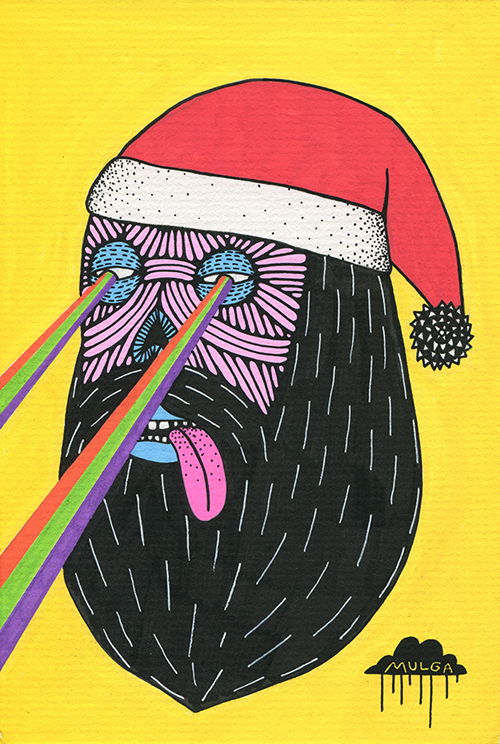 The good news is that my official website is the place to be for all Mulga happenings and it is truly magical. 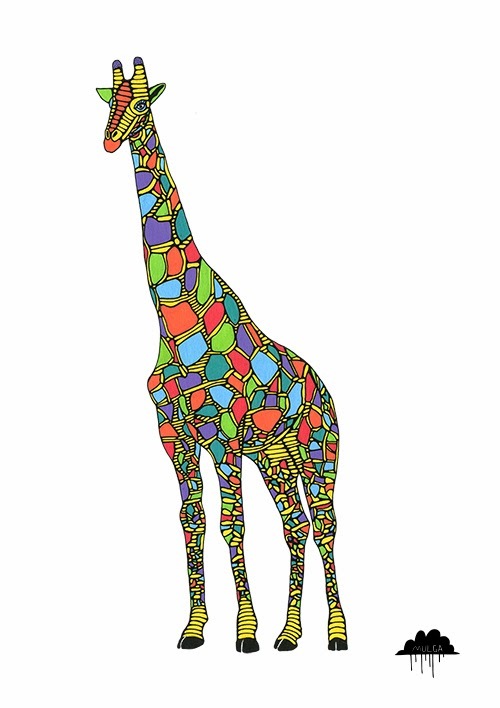 I was commissioned to draw Jerry the Giraffe by an ear, nose, throat doctor's surgery. 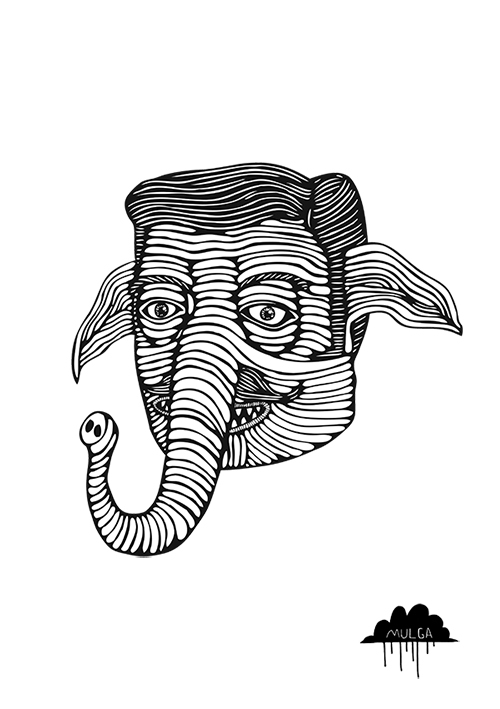 They had already purchased a print of Eden the Enigmatic Elephant who represented the ears and nose and now they just needed the throat to compete the trifecta. Jerry the Giraffe was the ideal candidate. 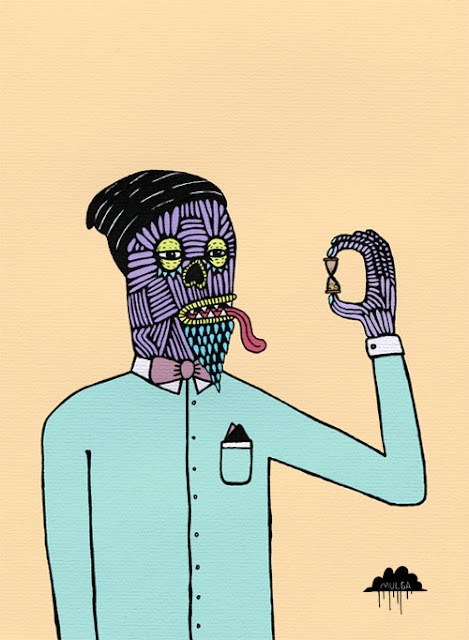 Music videos are rad but what about art poetry videos, that doesn’t sound too snazzy but let’s change that! 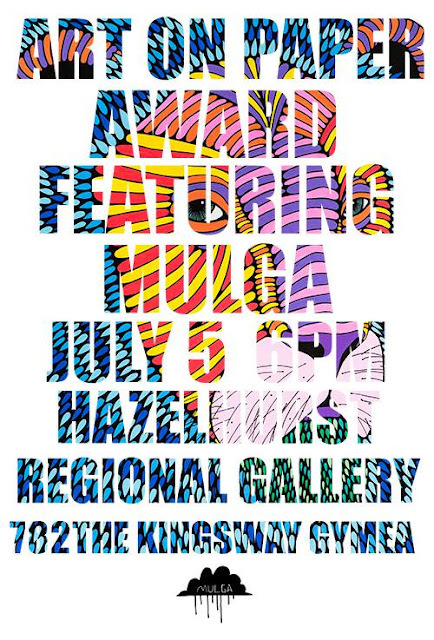 Mulgafest is an annual video competition aiming to showcase the worlds most raddest video makers. 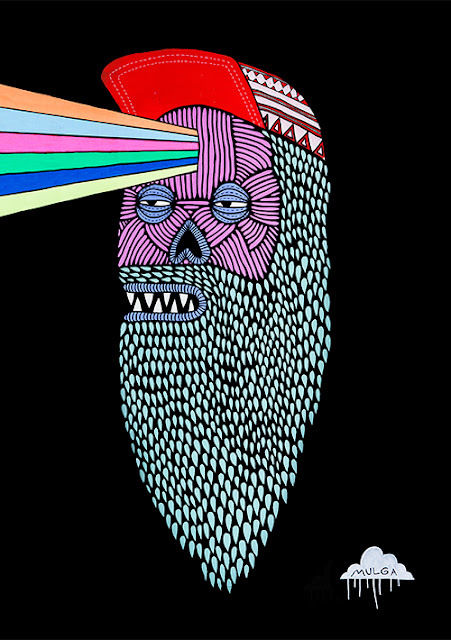 It is a collaboration between Mulga and the video maker and celebrates art and poetry and video in one fun little package. The winner will receive a $300 Mulga gift voucher. 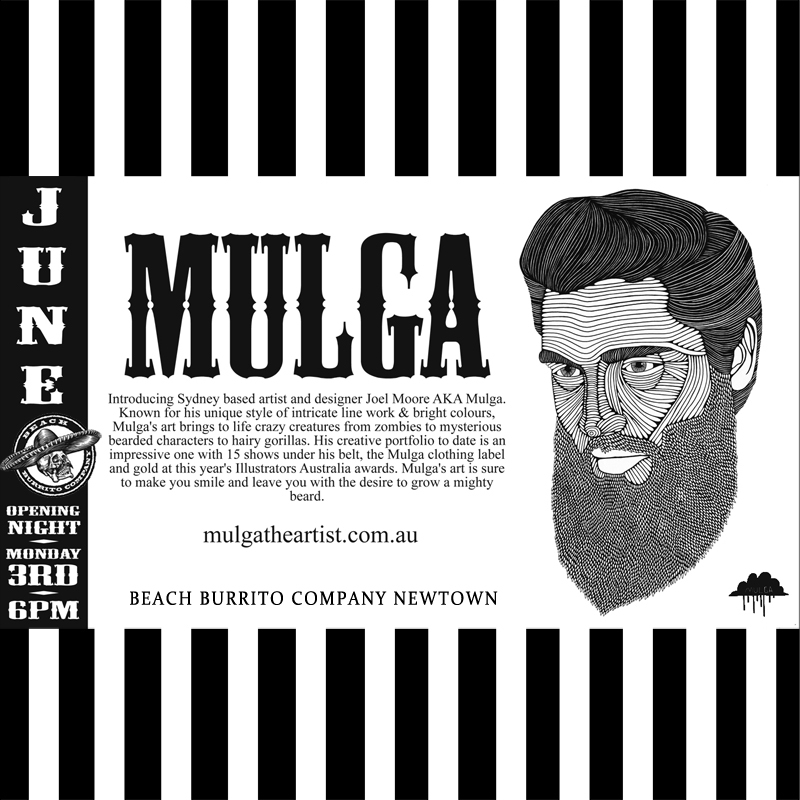 This voucher can be used to purchase Mulga goodies such as clothes, art prints, an original artwork or a custom Mulga painting. 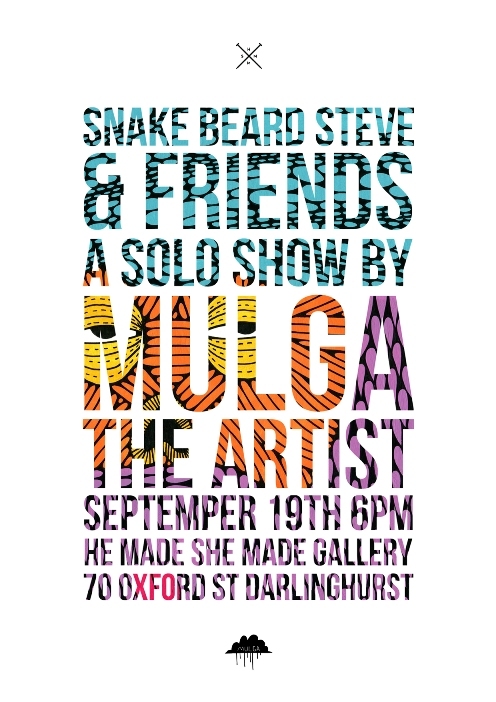 Make a video about a Mulga artwork with the poem about the artwork being the audio or as text in the video. If you want, send an email to mulgasroom@gmail.com telling me which artwork you want to feature and I can record the poem for you. Checkout this video I made for an example. Upload your video to Youtube or Vimeo and then email mulgasroom@gmail.com with the link. I will then put the video on my website. Mulga will select his favourite video from the top 5 videos with the most Facebook likes. 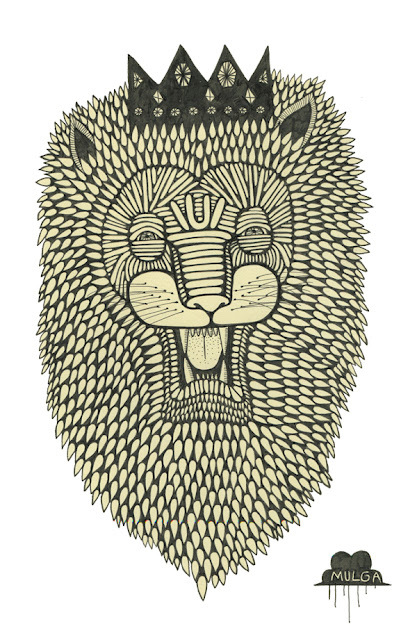 Video submissions close 30 November 2013. 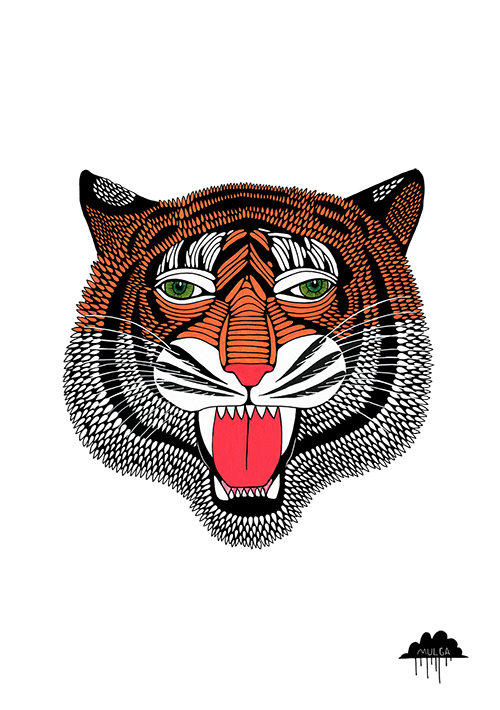 Facebook voting ends on 15 December 2013 and Mulga will then select his favourite video from the 5 videos with the most Facebook likes. This Thursday night I will be painting live and competitively at Lo Fi. 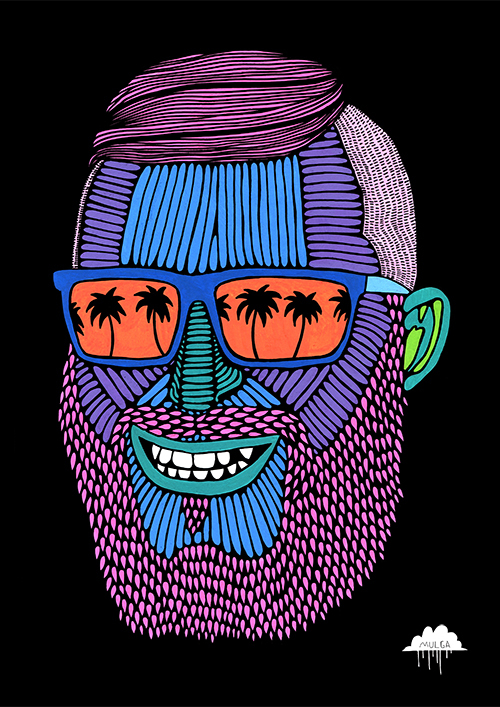 The winner out of 24 finalists is a sweet adventure to Miami. It will be radical and the thing I am painting will have axes and horns and beards and lightning bolts in it so you know it will be good. I need peeps there to vote for me with magical golden tokens that they give you on the night. 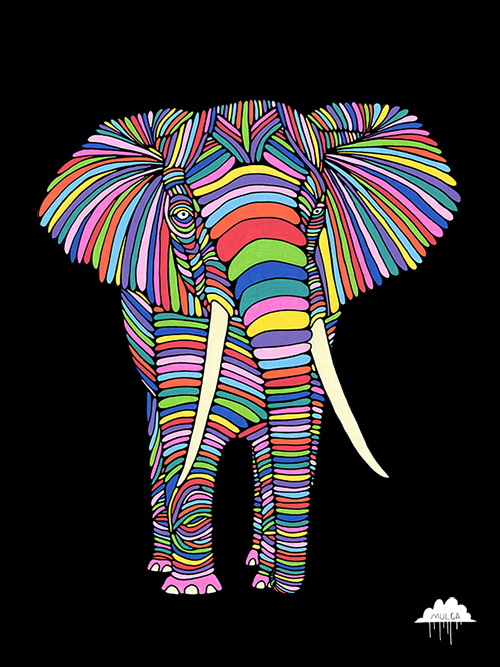 You can also vote for me on instagram by giving my picture of Spout Trunk Sammy a like on the instagram called @loficollective. 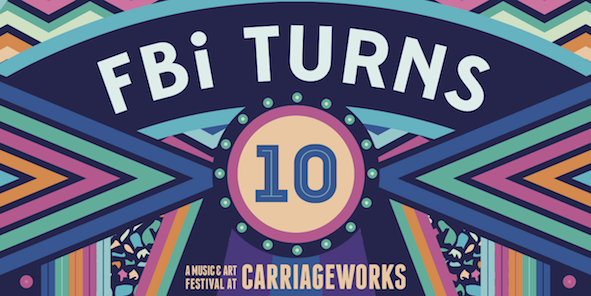 I am painting at FBi Radio’s tenth birthday party this Sunday and it will be radical. They interviewed me, click here to read all about it. 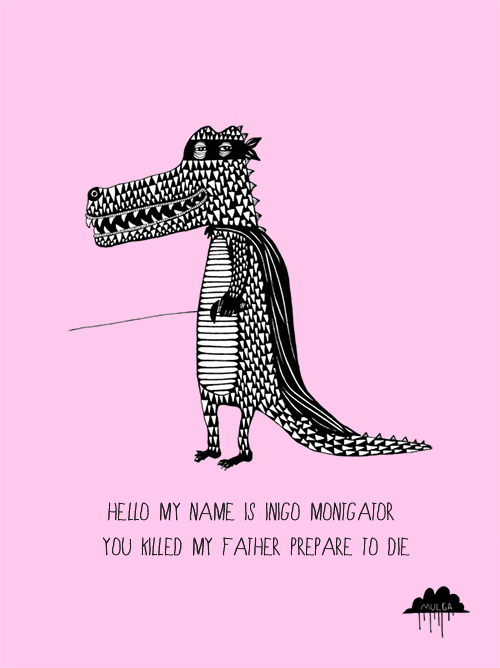 Happy father's day ya scurvy dogs. 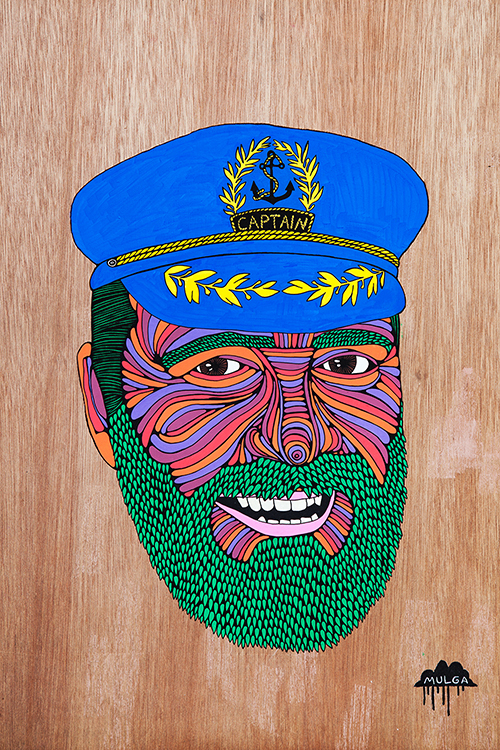 This is my dad and I painted him and called him Captain Dad, he likes to sail on the seas. 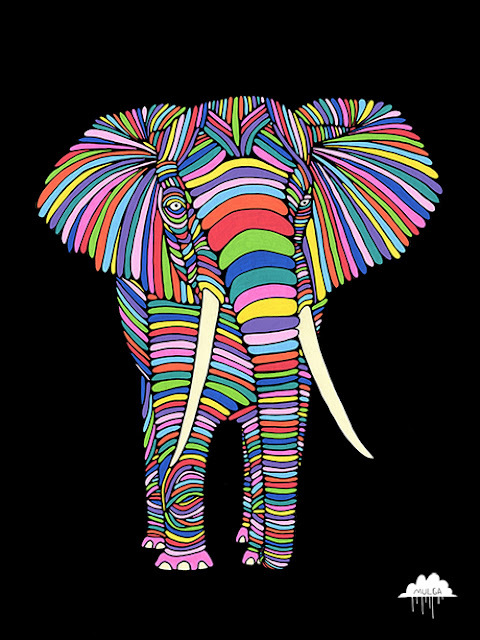 In real life he is even more colourful. 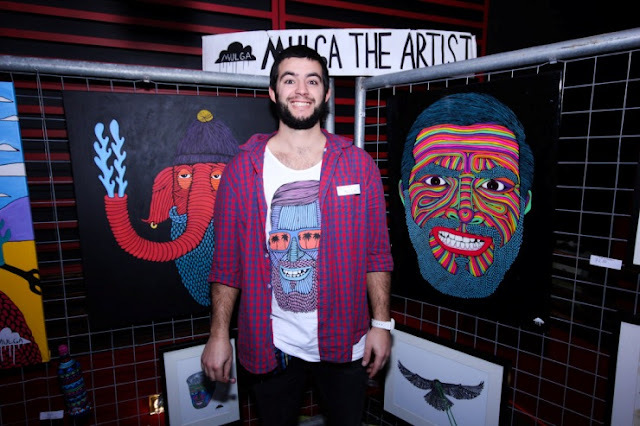 I was interviewed for an arts program on 2ser radio called So hot Right Now. Want to know why I go by the name Mulga? Click on the link, you can hear me at 2:50 - 3:20. 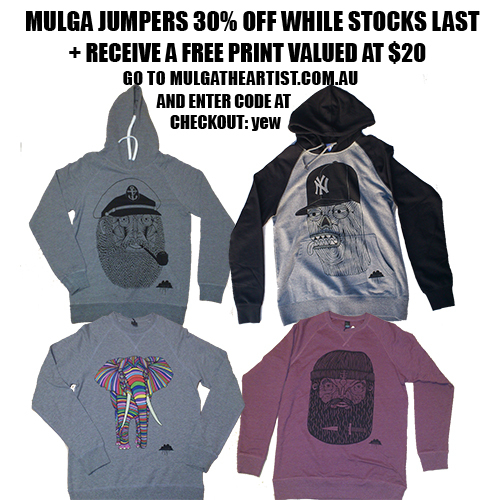 Mulga Jumper Sale – Get on it while stocks last! Checkout this sweet sale at my online shop. 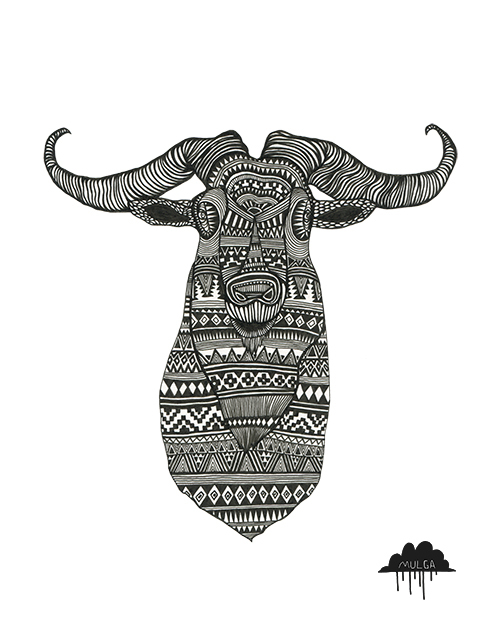 30% off all jumpers and receive a free art print valued at $20 with every jumper purchase. 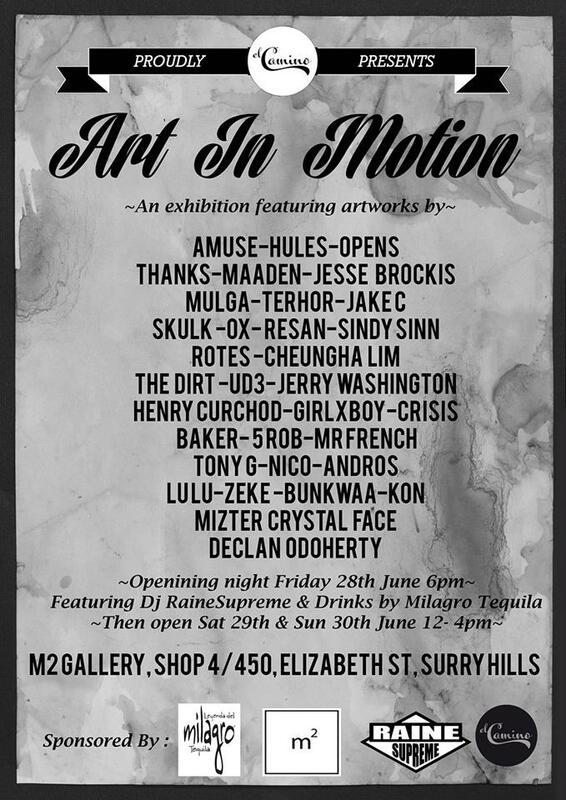 I will be displaying some rad new art at this huge showcase night along side a bunch of other artists and other creative peeps. 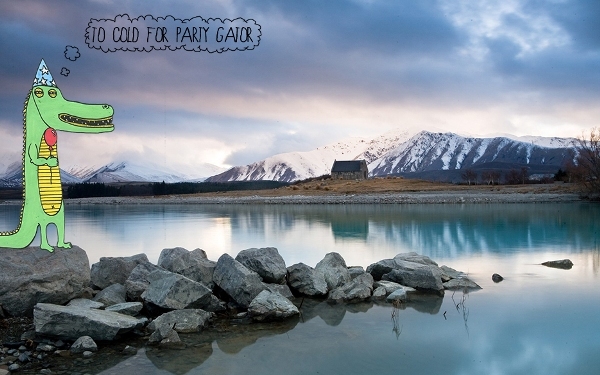 This will be a great night and for $15 you get – live music, runway fashion shows, burlesque, dance, short films, and a whole load of visual art, photography and accessories design, Including drinks by Brokenwood Wines and canapés by Danny’s Bistro upon arrival, It’s a pretty sweet deal for $15. 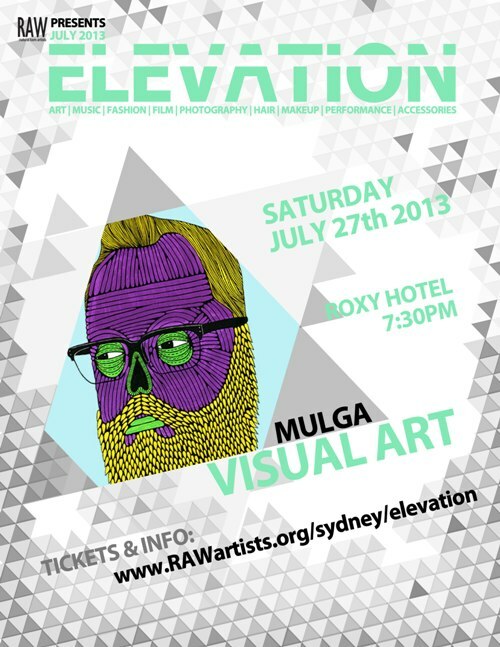 In addition, if you buy a ticket I will give you for FREE a Mulga art print valued at $20. That is a sweet deal even if you can’t make the night! 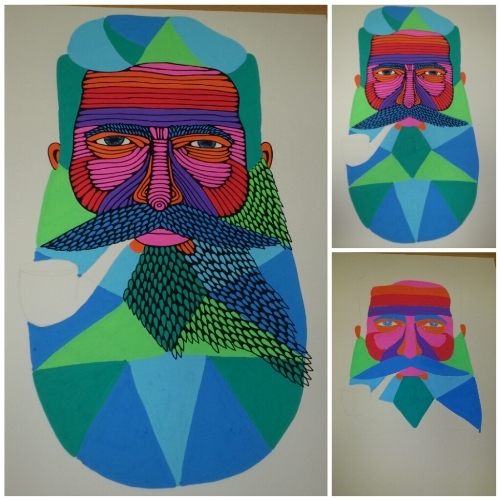 Here is some progress shots of a new painting I will be showing. 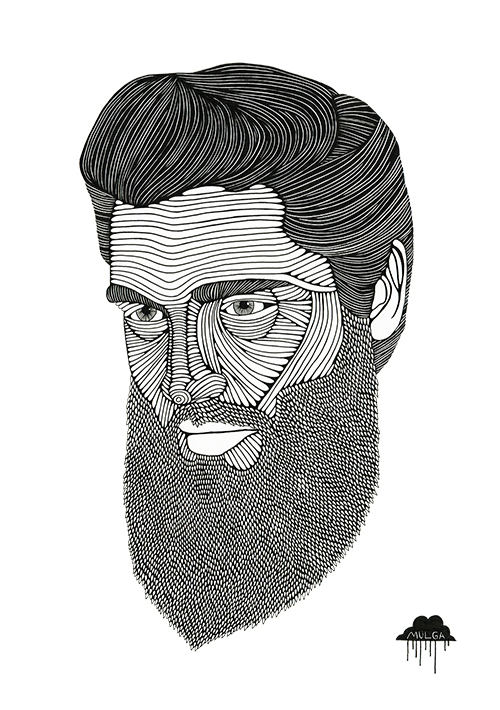 I had the opportunity to recite a poem on Channel 7's Sunrise show as part of the Beard Season launch. Check out Beard Season's website. 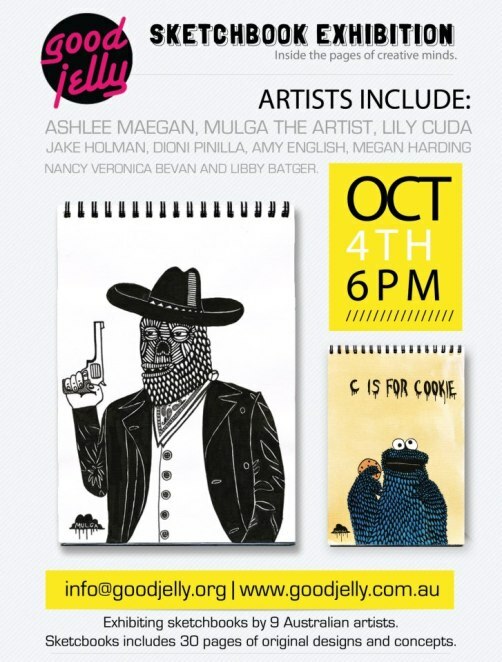 This Friday night at Hazelhurst Gallery at 6 pm this is on, come along if you're around! I painted a huge Magical Lion called Raimondo! 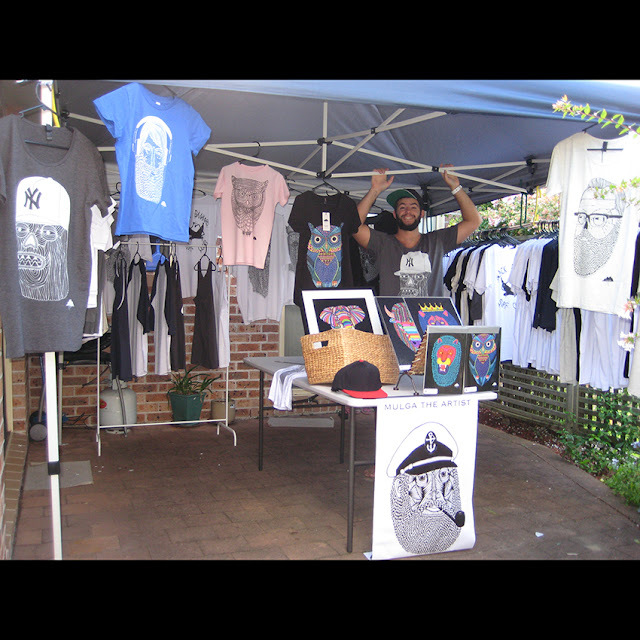 On the Sunday (7 July 2013) I will be back at Hazelhurst with my famous market stall as part of the Wild Things art and craft markets. I will be offering some sweet deals. 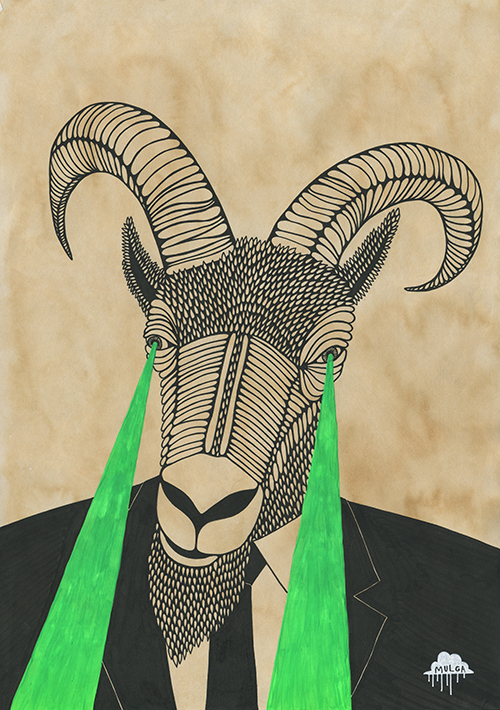 New works by 96 artists in a competition of outstanding art created with, on, or about paper. This year artists will compete for $26 000 in prize money thanks to the support of Global Specialised Services. Prizes include the $15,000 major award, the $5,000 Emerging Artist’s Award, and the $5,000 Friends of Hazelhurst local artist award. A $1,000 People’s Choice Award will be voted on by the public. Over 750 local, state and national entries were received with 96 artists being selected for the exhibition, including 29 emerging artists and 14 local artists. 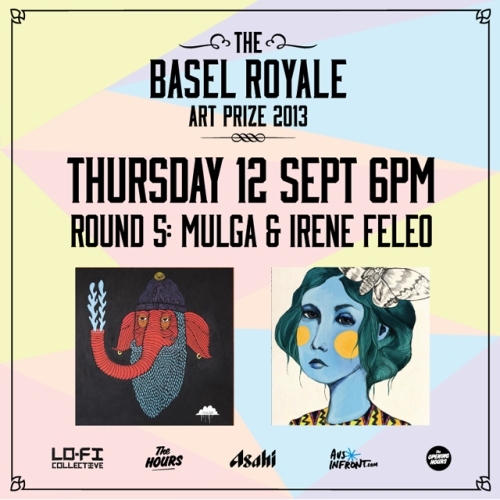 Winners will be announced at opening night Friday 5 July 2013. 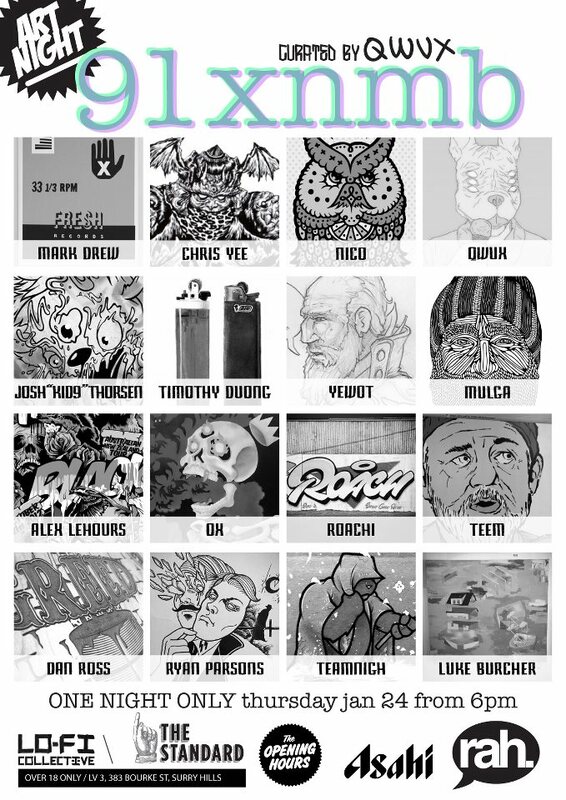 I have a piece of art in this art show this Friday night. 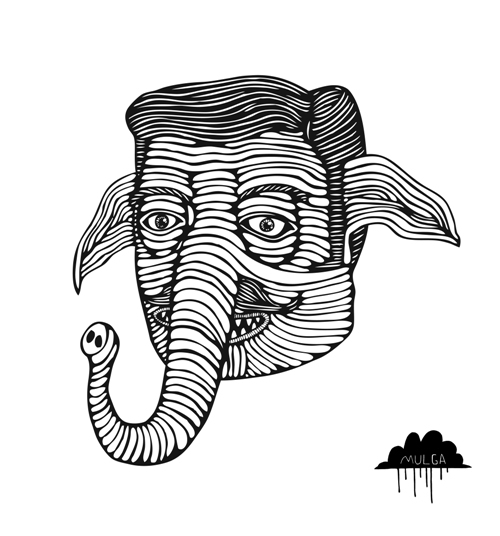 I drew an elephant wearing a beanie with water spouting out of his trunk, it is fun. 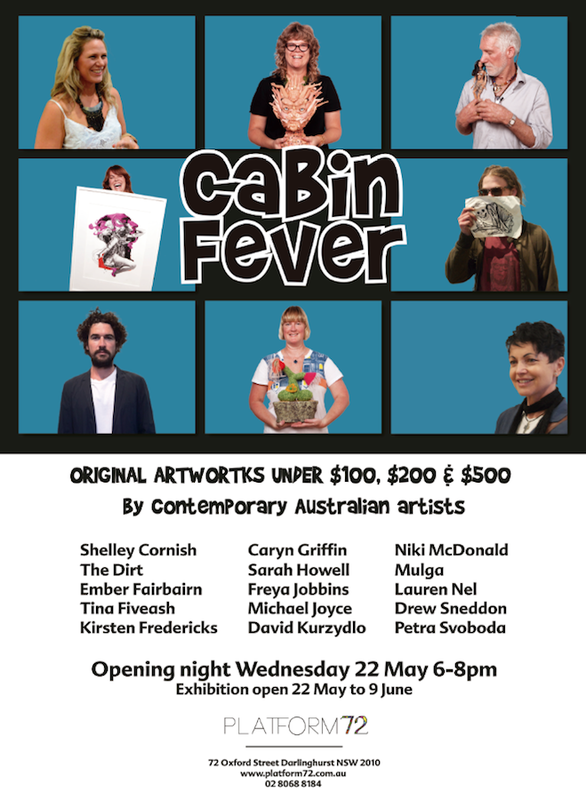 This show will be rad with a lot of great Sydney artists involved. 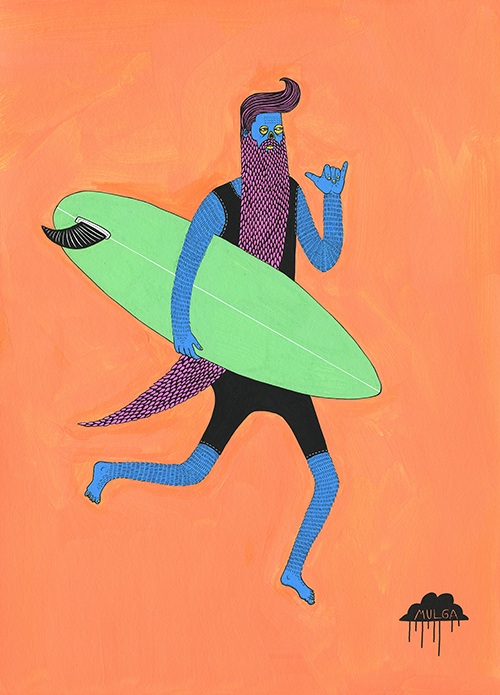 This Monday night on the 3rd of June 2013 there I am having an artshow at Beach Burrito Company Newtown. 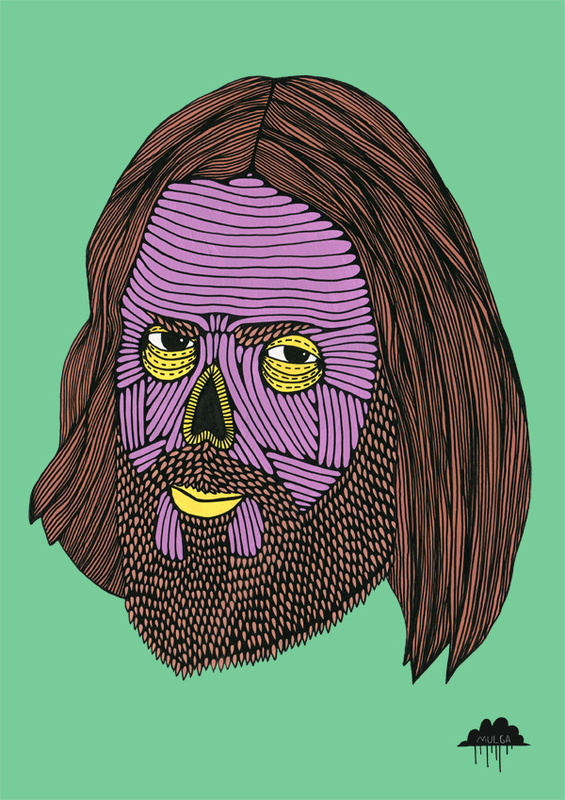 You can eat burrito's whilst looking at some rad art featuring beards, flouro creatures, zombies and beards! 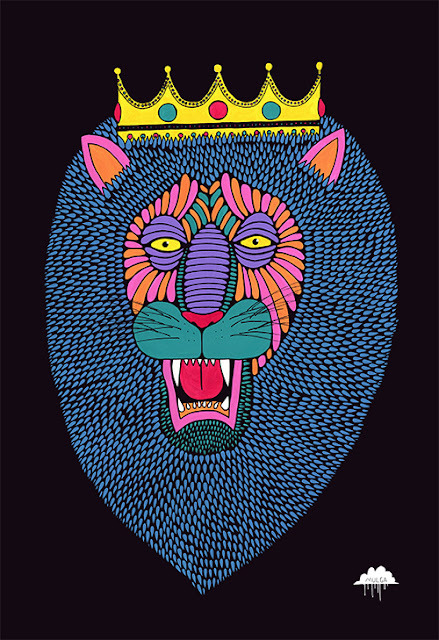 There will be prints on sale for $15 each and they are sized at 30 x 42 cm. 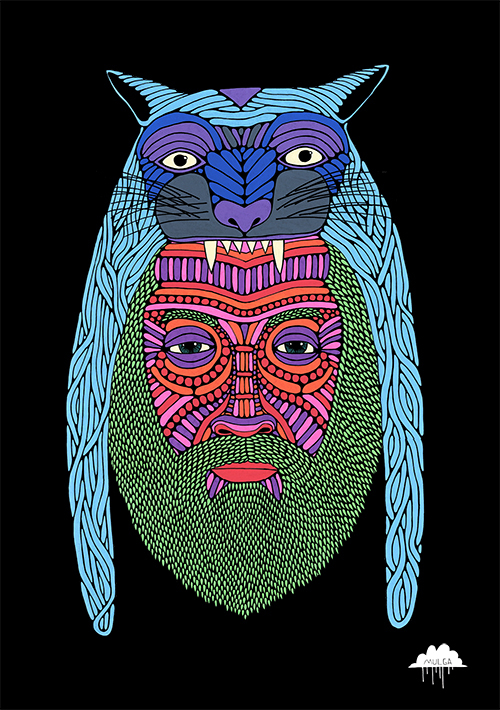 That is the cheapest you will get some Mulga art for, trust me I know! 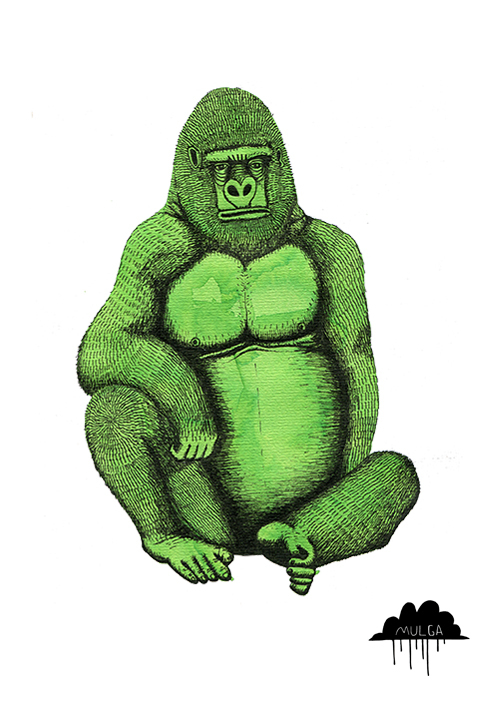 I am showing 6 awesome gorilla head portraits in the $200 category. Come along and stroke a gorilla beard with your mind. Check out this time lapse vid of hypno kiwi fruit ape head being painted. 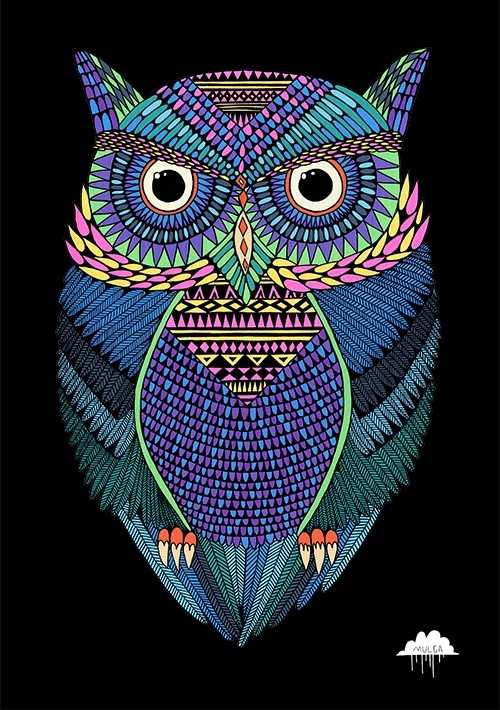 If only I could paint this fast in real life! I was commissioned to paint this for a lucky gentlemen's birthday present. 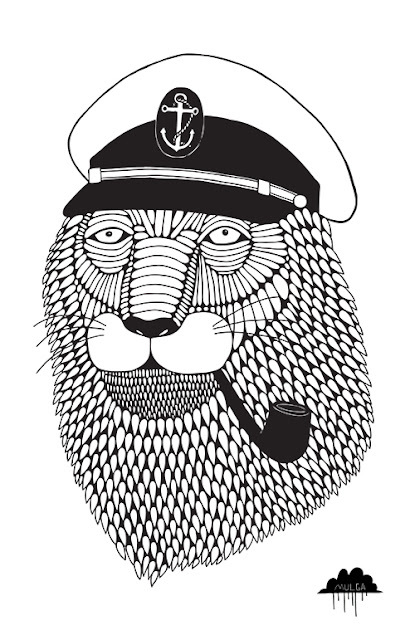 Buy a print of this here. I won Gold in the Illustrator Australia 2013 awards for my entry of these 4 bearded dudes. 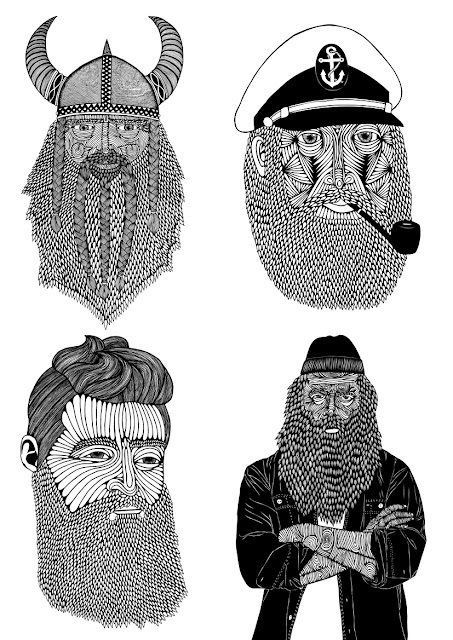 Goes to show beards a pretty rad. Today ( 23 March 2013) marks the day 56 years ago that Elvis’s debut album, “Elvis Presley” was released. 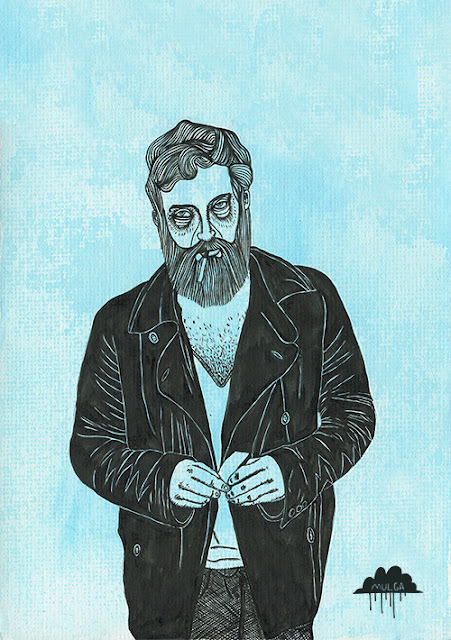 I drew a picture of him with a sweet beard. 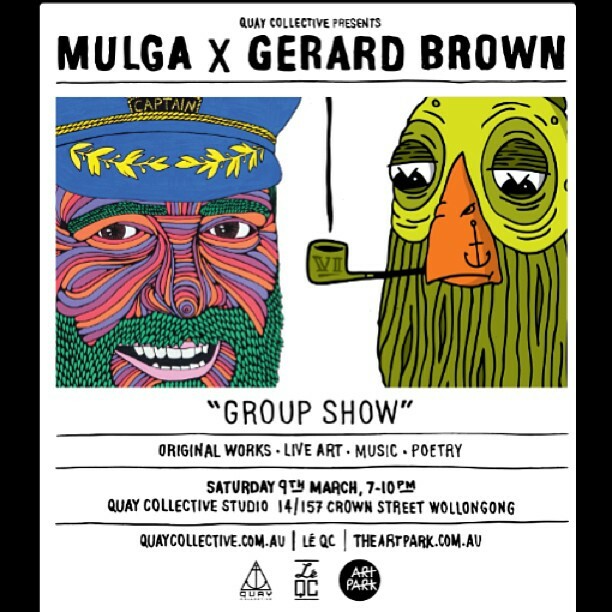 Its going down this Saturday 9th, featuring Mulga The Artist and Gerard Brown. There will be Original Artworks, Tunes, Poetry, Beverages and a Live Art Collab between Mulga and Gerard. "Keep the date free... Or free it up!! Come one, come all to my first market stall. I am having my first market stall at Caringbah markets this Sunday 24 February 2013. The market is in Coles carpark and is open 7 am to 1 pm. I will be selling tees for babies, toddlers, kids, dudes and chicks. 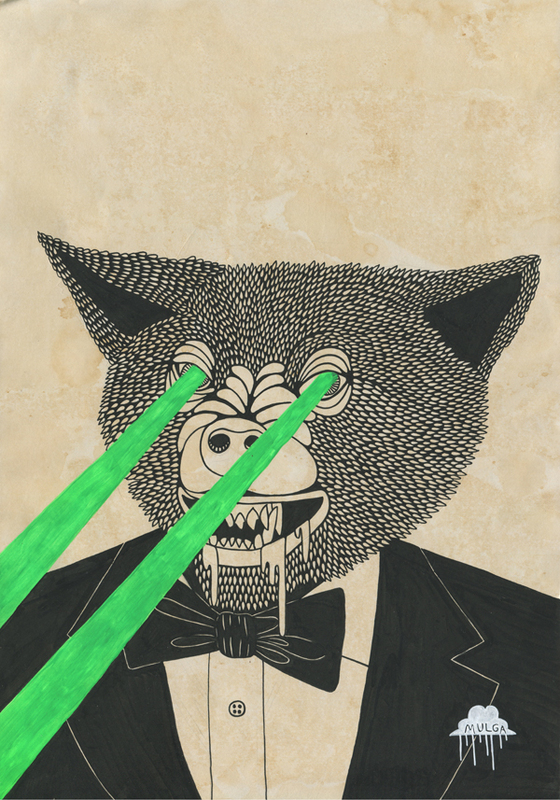 There will also be art prints on paper and on canvas. Come by and say hi, you won't regret it!! 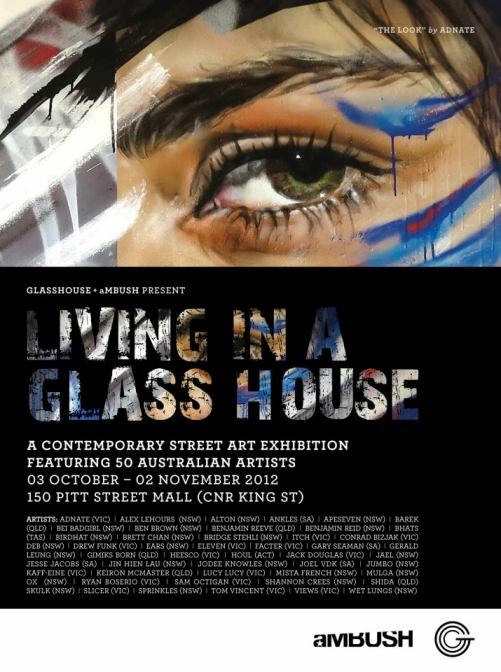 I will be displaying some wonderful artworks in this art show on Thursday 24 January 2013. Email me if you would like a print or a t-shirt with Michael the Magical Owl on it. I wish everyone a merry Christmas and nice new year! Email me if you are interested in buying the original. 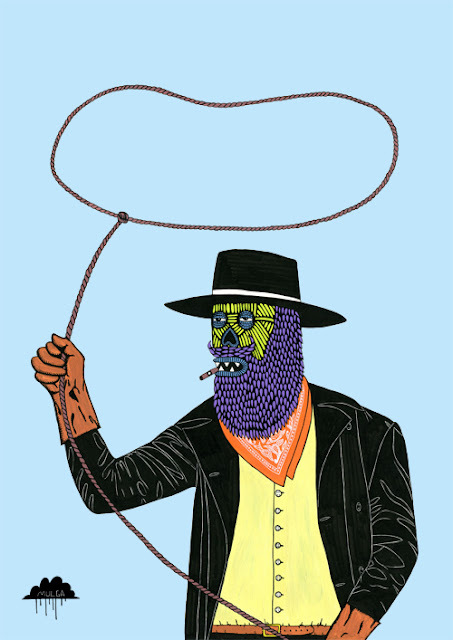 Get this as a print here. 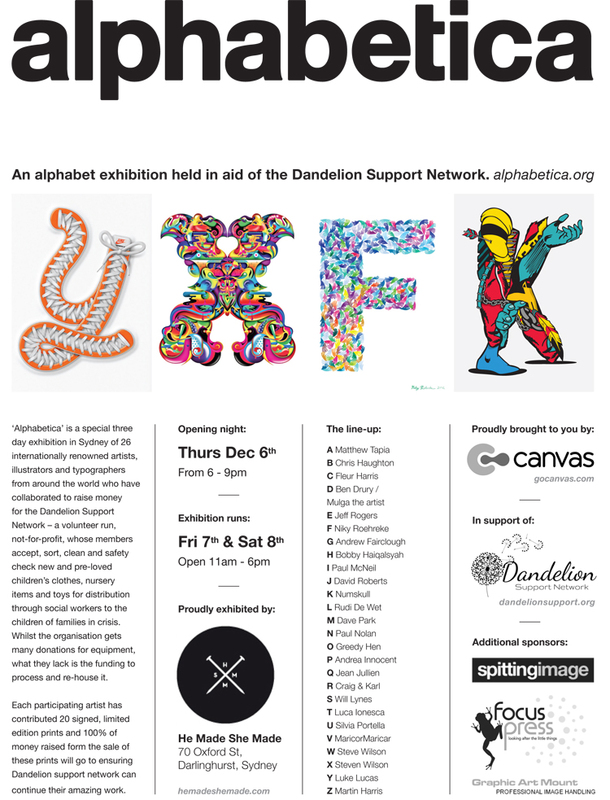 I drew the letter D for 'Alphabetica', an art show created in support of the Dandelion Support Network. 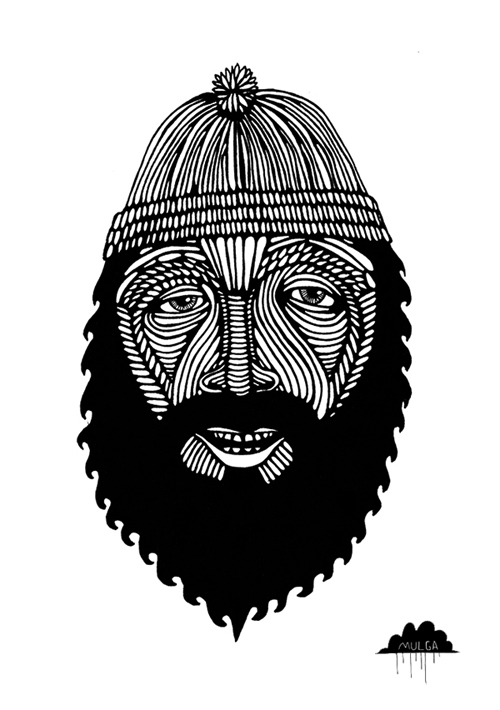 It opens Thursday, December 6 at He Made She Made Gallery. 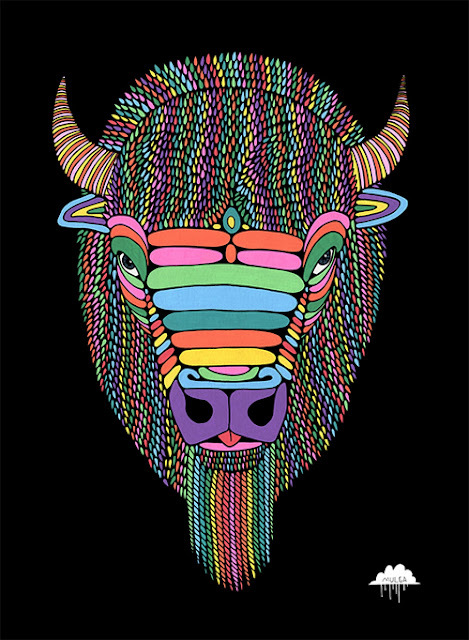 This is a piece of art of which I was commissioned to complete for Duvin Design, a Florida based surf lifestyle clothing label. Singlets are currently for sale with this art on it at Duvin Design's shop. I was commissioned to draw this for Duvin Design, a Florida based surf clothing company. I am proud to announce the release of my first ever art poem video. 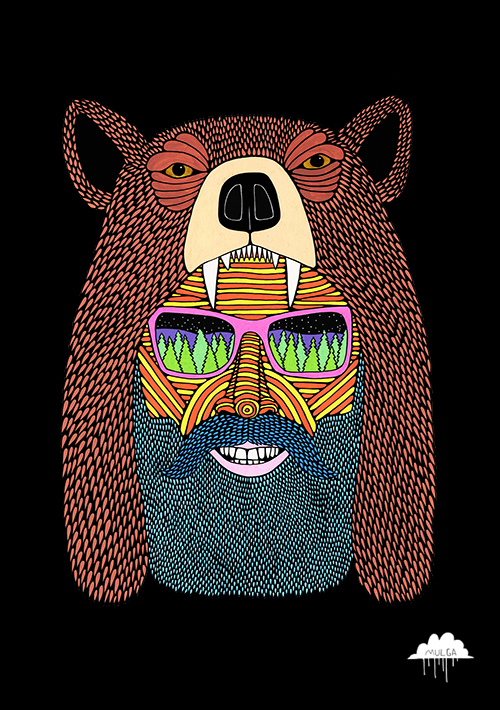 It is about Herman the Hipster and is only 34 seconds long so you know it's good. He simply said "It was hot and in the summer I'll fry"